Last autumn, Emmanuel CE School celebrated the grand opening of a new school building with a unique playspace and natural playscape designed by Gloucestershire based landscape architects, B|D. 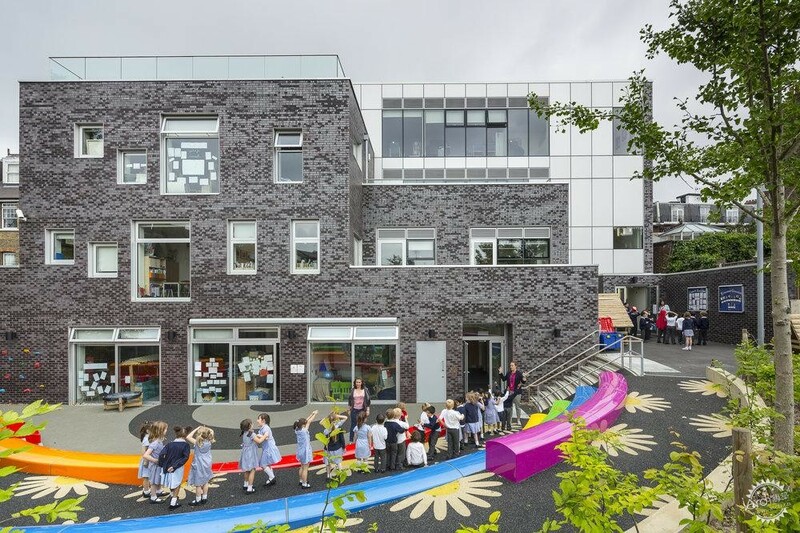 The Bishop of London joined the Mayor of Camden and other luminaries alongside teachers, pupils and the design team for Emmanuel CE Primary School’s grand official opening of the new buildings and school grounds. 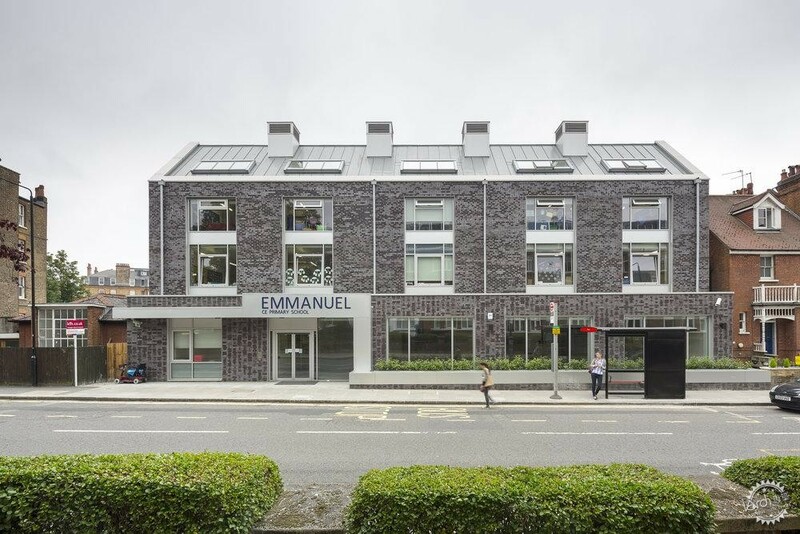 The redevelopment of Emmanuel Primary School, which dates back to 1845, was a joint project between Camden Council and the London Diocesan Board for Schools. This was a long term dream that finally turned into reality this year for the West Hampstead school and wider community. 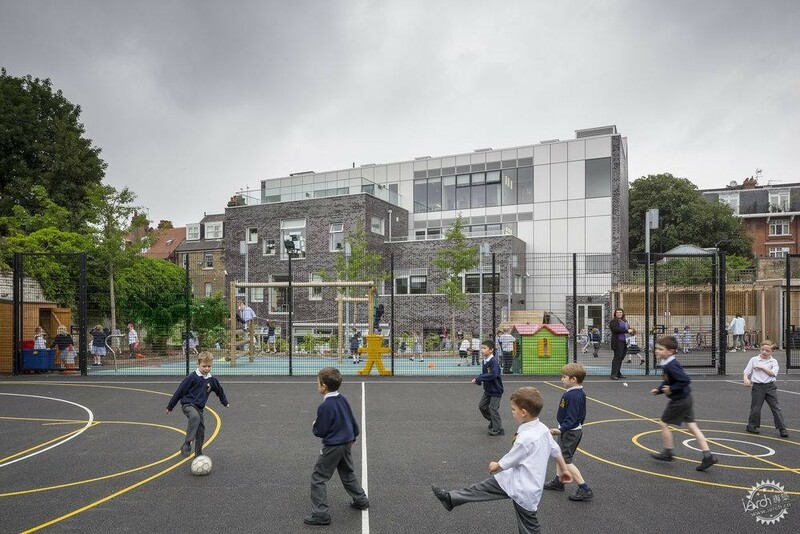 Contemporary landscape architects, B|D, were appointed to design the educational and playable landscape in collaboration with London based architects, Hawkins/Brown. 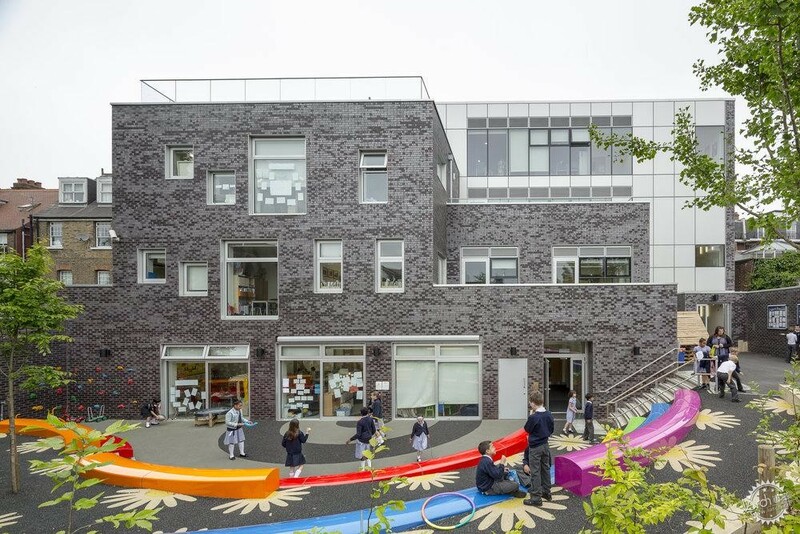 The newly designed Emmanuel CE Primary School has doubled in size as a direct response to the need for extra primary school places in London. The impressive landscape design by B|D enhances the ecological value of the site with new habitats and increased biodiversity tailored to the local biodiversity action plan. A number of clever features have been integrated by B|D to bring a natural fusion between children's learning and their environment. Outdoor classrooms, productive 'edible' gardens and a colourful rainbow terraced 'scoop' amphitheatre are at the focus of the external space showcasing innovative design solutions. The initial ideas for the school grounds were heavily influenced by consultations with teachers, pupils and the local community to identify their aspirations for the project. Taking on board this engagement, B|D created a unique split level playground that makes the most use of a constrained site for performance, play, sports and inclusive access. The Upper Playground level includes a multi-use games area and natural playscape for both school and community use that links the grounds to the surrounding public open space and site of importance for nature conservation. An edible playground with productive growing beds provides the school with an opportunity for outdoor learning as well as promoting sustainable living methods. A secret garden containing herbs and healing plants operates as an important sensory zone with interesting textures, smells and shapes. A wildlife butterfly garden is jointly run by the school and local open space community action group. 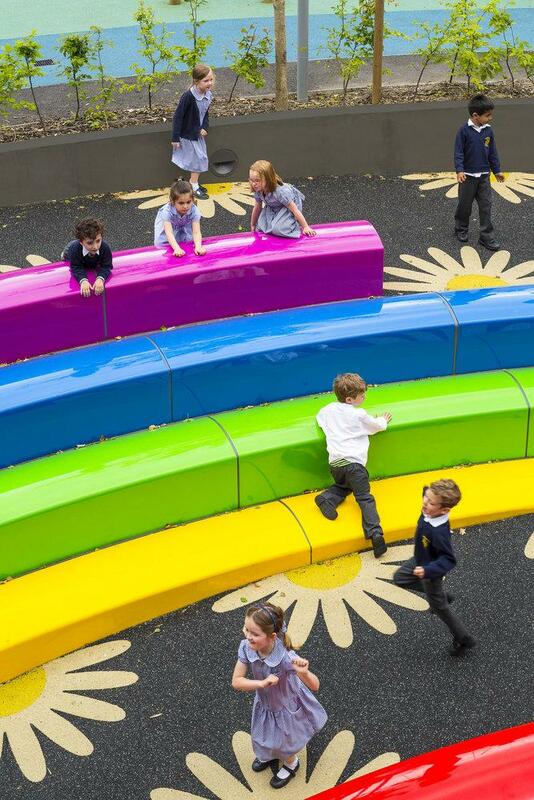 The Lower Playground level is linked with a rainbow inspired ‘scoop’ amphitheatre with bespoke B|D designed grp seating elements and a graphic ground plane that links to the wider open space planting palette. Here B|D's design for the learning and educational landscape incorporates flexible external spaces, making use of the level change through the site for games & learning. Enhancement of the neighbouring public open space was also completed in 2013 and includes a wildflower meadow, native woodland planting and a natural, dynamic 'playscape' that sits within the site of importance for nature conservation.